Previously, we reported that Verizon would be bringing over the LG Optimus Vu to the US. However, it’s starting to look like the LG Optimus Vu will be Verizon’s only phablet and will not be picking up the Samsung Galaxy Note 2. 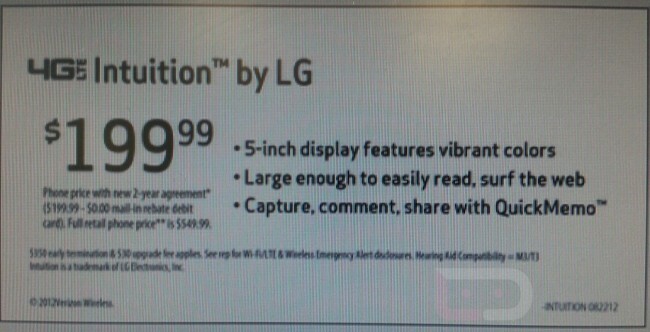 The document also reveals that the LG Optimus Vu/Intuition will be available for $199.99 with a 2 year contract or $549 without one. The LG Optimus Vu/Intuition comes with a 1.5 GHz dual-core processor, 1 GB RAM and 32 GB internal memory for all your files and media.It will also be running on Android 4.0 Ice Cream Sandwich out of the box. As for the camera, the device will also come with an 8MP shooter that should be enough for your Instagram, Tumblr and Facebook needs. 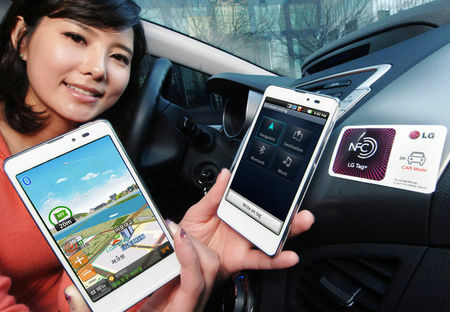 Is the LG Intuition an acceptable alternative to the Samsung Galaxy Note 2? Will you be disappointed if Verizon decides that this will be the only phablet they’ll carry? Speak your mind in the comments below!